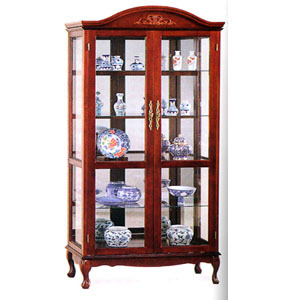 Queen Anne Curio Cabinet With Four Shelves. Cherry Finish. Dimensions: 32W. X 16D. X 73H.. Easy to Assemble.